Fire rescue workers were called in to trap a rhino iguana that was found in a Wal-Mart in northwest Miami-Dade Thursday. 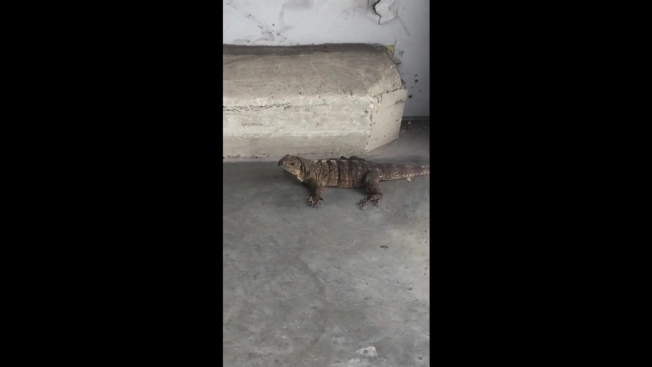 The Miami-Dade Fire Rescue Venom Unit was called to the store on Northwest 79th Street, where they found the iguana near some shopping carts. The iguana was safely captured and turned over to proper authorities for care, officials said. Rhino iguanas have a large, impressive appearance make them a very desirable species to own, officials said. Their disposition can vary considerably, with some extremely tame and others that can be extremely aggressive and inflict bites that can become infected.